The church is on Copp's Hill in the North End and, thus the steeple (170 feet tall) provided the best view of Charlestown across the river. 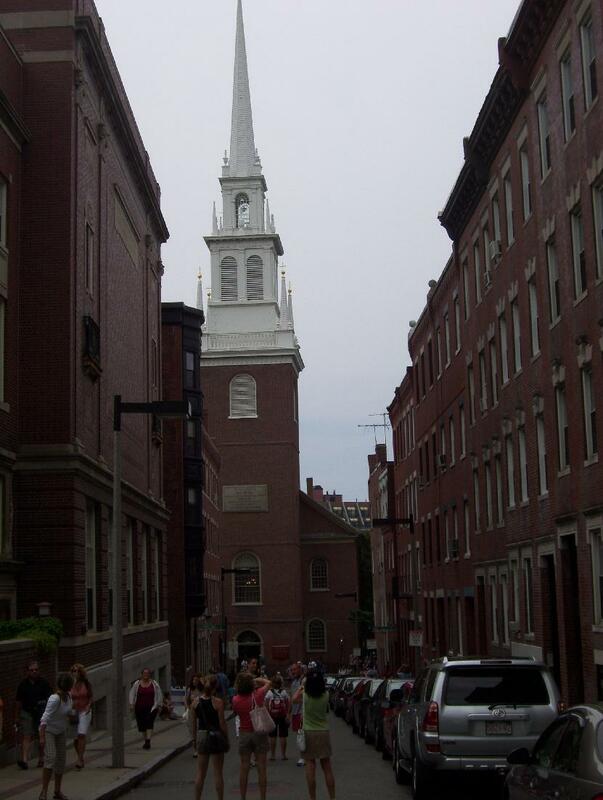 Thus this was the church Revere chose for the signal light on the night of April 18 and was also where General Gage watched the Battle of Bunker Hill. General Gage attended the church and his pew is still marked as Number 62. Major Pitcairn, who was a commanding officer on the raid to Concord, was mortally wounded on Breed's Hill. His body was placed in a crypt in the church after his death. His family wanted his body returned to England for burial in Westminster Abbey. Sadly, it is said that the wrong body was sent and that Major Pitcairn still rests in Boston.